If you are looking for a high-quality marijuana strain to grow, then Afghan Kush is worth your time and effort. It is one of the top marijuana strains available now. With intense body buzz effects, any weed smoker will surely love it. If grown well, you can get an average yield which ranges from 250 grams to 400 grams. This can be grown indoors and outdoors and will flower in 7 to 8 weeks. Afghan Kush is an indica strain that you can find in the Afghani region of Mazari Sharif. It is advisable that you grow Afghan Kush in outdoors if you want to get satisfied harvesting the yields. It can also give users a strong hit which is why first time users should know how to control themselves when using it. Afghan Kush has an earthy, woody and pungent smell. It has a hash taste just like its smell. With the fact that Afghan Kush is mostly Indica, it greatly affects the body instead of the mind. It can be grown both indoors and outdoors. The buds of Afghan Kush are dense and covered with trichomes thus making it glitters because of the crystals. It is also sticky because of the presence of resins and it is covered with hair. People who use Afghan Kush experience a euphoric feeling which makes them happy. It also causes people to feel lazy and sleepy like a couch-lock. You feel hungry making it good for people who wanted to gain weight. For first time user, taking necessary caution is needed. 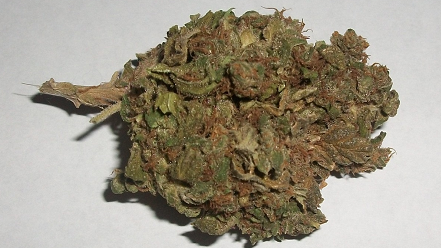 Afghan Kush can help people fall asleep making it an effective treatment for insomnia. It can also relieve chronic pain because it will make you feel relaxed. The best way of growing Afghan Kush is outdoors in order for you to acquire its maximum growth. It can produce 400 grams per square meter. For people who are interested in growing Afghan Kush, allowing it to absorb natural light and nutrients from the soil in an outdoor environment is better than placing it indoor. You will find no trouble growing this plant because it is so easy to grow perfect for novice growers. It is resistant to pest as well as diseases so you don’t have to give full attention to this strain.